Caption slip reads: "Photographer: B. Gray. Date: 1955-07-11. Reporter: J. Massard. Assignment: Renoir at County Museum. 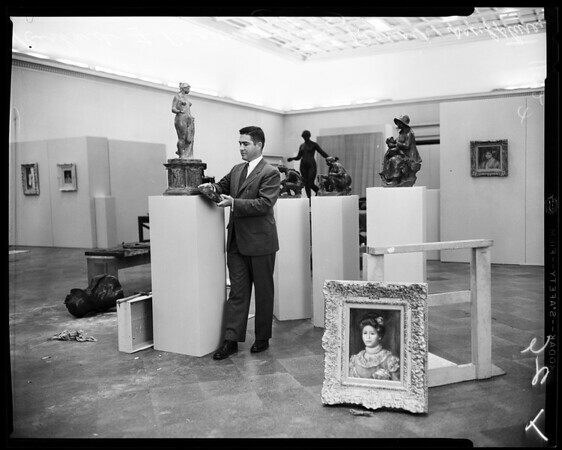 25 & 26: Acting Chief Curator of Art Richard F. Brown of County Museum stands amid pedestalled Renoir sculptures being readied for exhibition opening July 14."